Cement Based Rapid Setting Repair Mortar suitable on all cement and gypsum based substrates. Designed for rapid drying patchment repairs in interior areas. 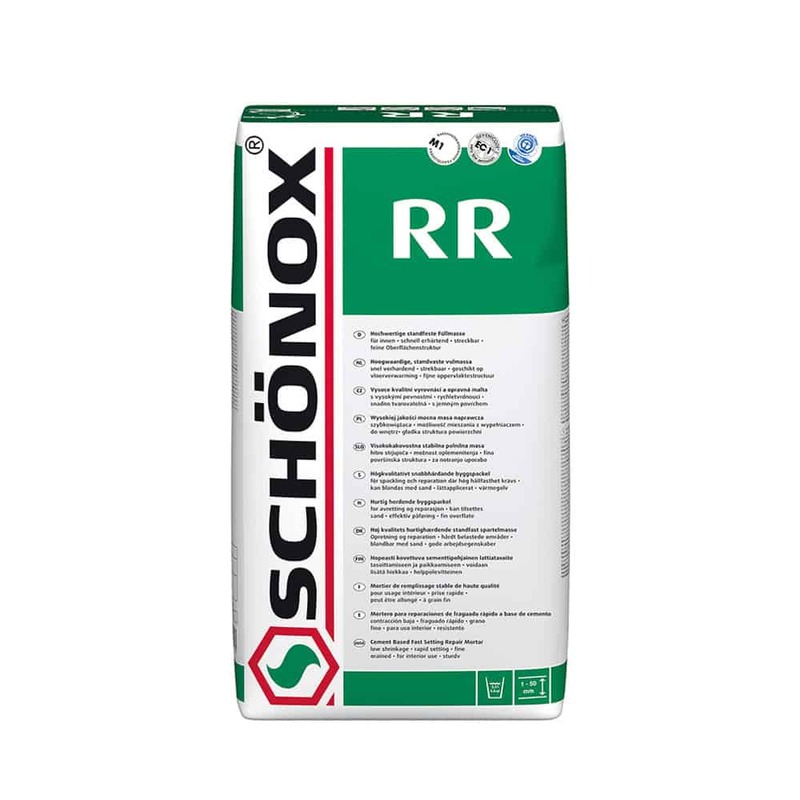 Schönox RR can be installed up to 2″.